We all want our homes to give off an aura of comfort, relaxation, and coziness. There are several ways to help you achieve this goal through your choices in materials, furnishings, and decor for your home. Part of that is flooring. It is often the most dominant aspect of a room, so if you are looking to promote a comfortable space, you must choose the right flooring. Oak is the perfect option for this. Here’s why. Oak’s natural beauty provides a warm vibe with its natural oils and sleek look. It gives texture and warmth, while it also comes in more modern shades. 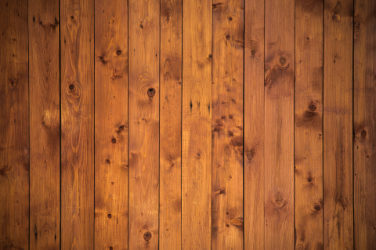 European White Oak is one of the most flexible wood species for staining and other techniques for coloring wood such as burning, fuming, or chemical reactive treatments. Oak is one of the most structurally stable hardwood species available. Due to the grain structure, this wood species is less prone to moisture issues. You will have all of that natural beauty to go with increased structural stability and ease of maintenance. Elegance can give you a sense of calm and peace. Whitewashed floors are getting more and more popular all the time, as they provide a simple, yet elegant look. Oak finishes can have a chalky look that will pair well with the grains of the wood and create a calming, natural effect. Engineered wood flooring can make it even easier to get a rustic and peaceful look. It is more versatile and offers additional shades and finishes. You can get caramel hues, dark hues, and smoked finishes as well. All add warmth and comfort to any room or home. Engineered oak flooring has a layer of real wood that provides the classic look that everyone loves. The classic Oak look provides a natural ambiance to any room, whether it is rustic or modern. It exudes warmth and coziness, which is something most homeowners desire after a long day or during the cold winters.